From Gwen Srigley of NIAGARA FALLS, Ontario on 1/3/2019 . This Training Kit comes with the customers 1st order of a VueThru Flip Lenticular Lens product. You can order addiitional VueThru Flip Training Kits here. 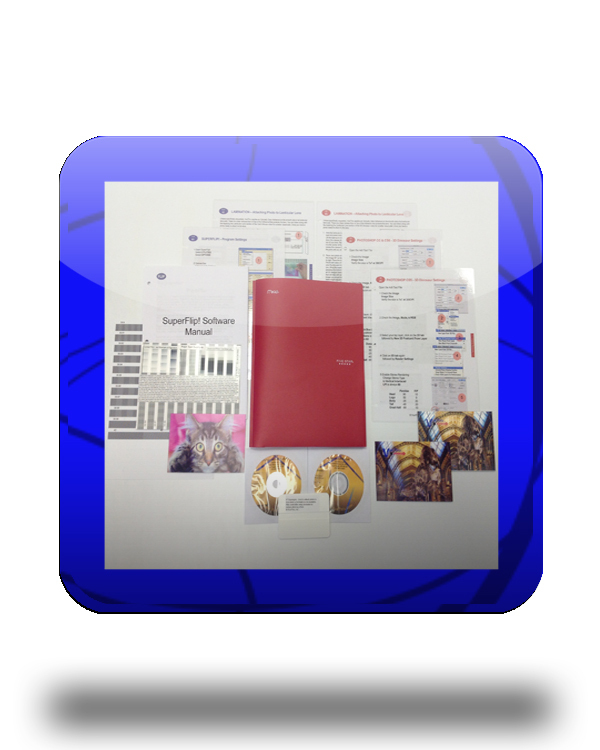 Contents: 40LPI Printed Flip Cat & Mouse Sample with a online download address on the back to artwork and video instructions to recreate your own Flip Cat and Mouse sample using your equipment. Two 4x6 //6 Flip 40LPI Lenticular Lens Blanks with Adhesive and a 4" Squeegee.